I've been sifting through, gently staring at Vena and Stephen's wedding photographs for months now. They were one of our first big weddings of 2017, and the memories and relationships we built with this couple have left me sort of astounded at the power of love. I have to start by talking about Vena. She is a beautiful, focused, caring, confident, passionate, and loving woman. Every time we hopped on the phone (usually late at night due to our time difference), she'd be eating a midnight snack and I'd be curled up in bed to get cozy for one of our lengthy planning sessions. Vena loved to talk through the details, to speak the ideas out loud as if the words truly formed the vision. As a result, our 45 minutes planning sessions often turned into 60 minutes...which melted into 90 minutes...which turned into the most beautiful friendship, and even more stunning wedding! Vena. I know you're going to read this. And I just need to say how much you taught me as a wedding planner. How much I learned from your generous and kind spirit as a woman. And how grateful I am to have played a part in your love story. Their wedding? Well, there wedding was a three day affair full of flowers, food, and champagne! 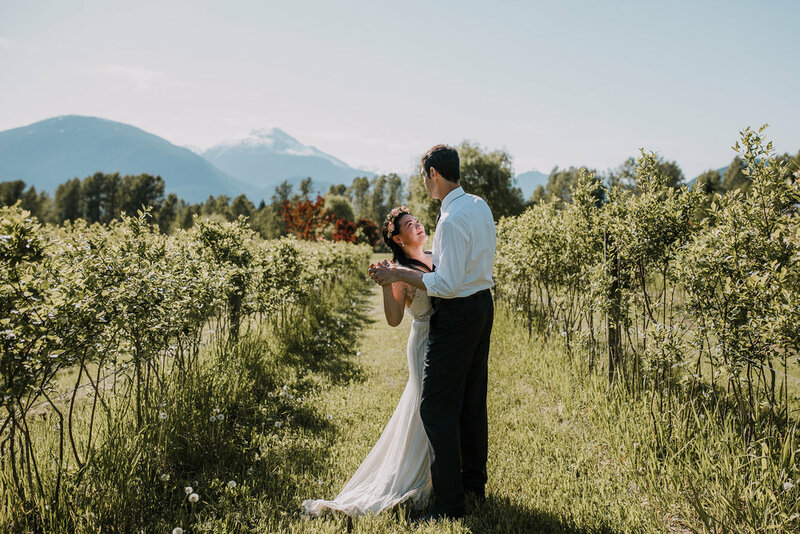 With a stunning Mount Currie backdrop, live tunes, and table settings to swoon over...this wedding was a true delight. I can't wait for you to see for yourself! Put on the song "Let's be Still" by The Head and the Heart, and feast your eyes on these photos by Leah Kathryn Photography. Feel the feels and sink into love knowing it's shared in so many ways.